Hello Sweet Summer Time! Now that school is coming to a close and the temperature is rising, lets party! Put away those text books and kick back, this is your time to be young, wild and free. PartyCheap has a wide array of summer pool party ideas and pool party themes to help you live it up this Summer! Do you have a favorite beach location? Many of us do, and many of us long for the days when we can finally get out to our spot. Well, why not turn your backyard into this location? Imagine not having to fight the traffic and all of the other beach goers to find a good spot. Instead of all of that time (and money), you can have it all without going anywhere. You can even surprise your family by offering to take them on a relaxing vacation, when in all reality you are only taking them to the backyard! Just think of the looks on their faces when they see what you have done, they'll be thrilled! Kick-off this Summer with a pool party! Send all your friends and family a Tropical Invitation in a Bottle to get them in the hot sizzling summer mood. Make sure your guests are ready to party by welcoming them to the pool on a Hot Coals Runner. This will heat them up even more before they jump in the pool to cool off. Need more pool party decoration ideas to impress your guests as they arrive? Hang a Aloha Tropical Stringer on the fence to let your guests know where to arrive. Award each friend with Brite Party Beads or Assorted Neon Silk N Petals Party Leis for all their hard work over the long dark cold months! Looking to liven up the party even more? Turn your generic pool party into a luau pool party! Fire up the grill and bring out the pig! No luau is complete without a pig roast. Serve your guests that delicious pork on a Flip Flop Plastic Tray. Side dishes are just as important as, include hawaiian poi, tara rolls and a tossed salad to go along with the main dish. While the pig is roasting, chop up fresh pineapple chunks and papaya slices, arrange the fruit on Bamboo Skewers and serve as an appetizer. Wash down that delicious meal with a mai tai or a pina colada, garnish each drink with Party Parasol Picks. Now that our guests have their bellies full, Lets get the games and music started!Everyone can join in on the fun! Set up photo props and take silly photos with the Mermaid Photo Props and the Surfer Dude Photo Prop. Bring out the grass skirts, it’s time to do the hula! PartyCheap has plethora of grass skirts in every size and low cost. 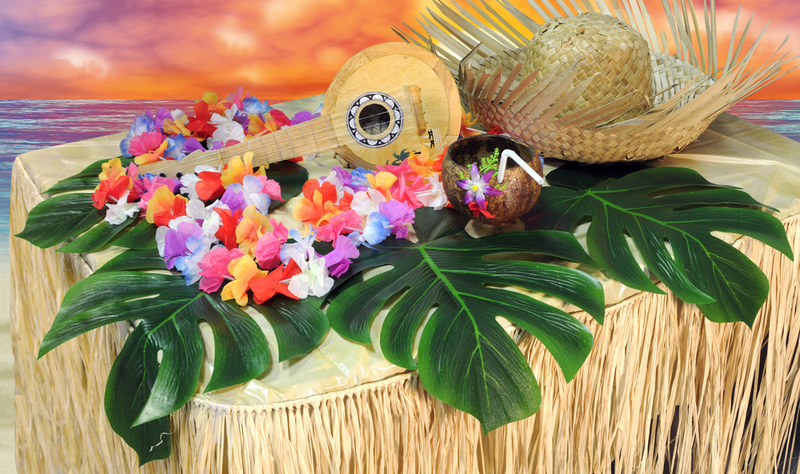 Adults, put on your Value Raffia Hula Skirt (Adult Natural) and get those hips shakin! Have a contest of who can hula the best. Let grandma and grandpa join in on the fun as well. Grandpa can play the Coconut Ukulele and grandma can get down with her Fun Tropical Party Maracas. Now, line everyone up, and see how low you can go! Get low to the ground with the Limbo Kit and Limbo Music CD. Need more pool party ideas for the kids? Limbo your way over to PartyCheap for more. After all the hip shakin and back bending,take a splash on in the pool to keep cool! 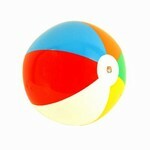 Toss up the Inflatable Beach Ball for a game of beach volleyball! Are you tired from all the exciting activities? Relax and float on an Inflatable Lobster or take a ride on the Inflatable Shark. Summer is a time for family, friends and fun! PartyCheap can assist you in all pool party supplies, in order to help make this Summer the best one yet. Although the tan lines will fade, the memories will last a lifetime!